My friend Elizabeth is an ardent fan of BBC‘s Sherlock, which is understandable, given that the show is INCREDIBLE. 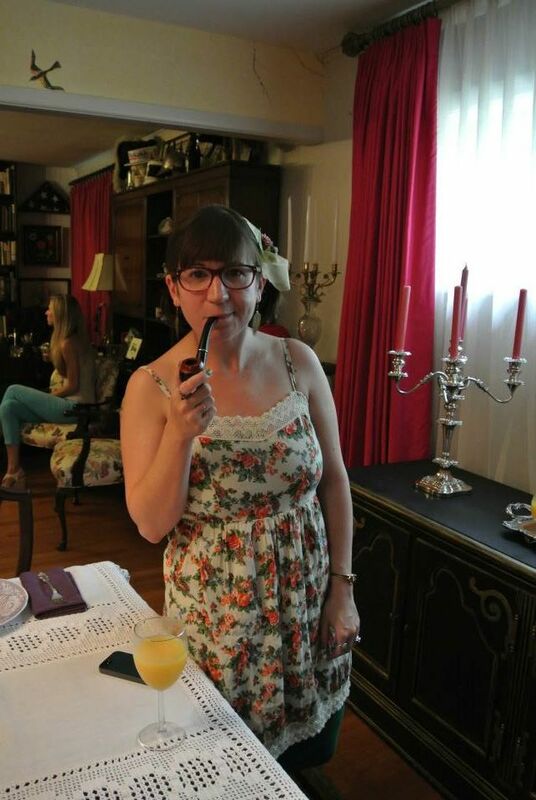 She came up with the brilliant “Benedict Cumber-Brunch” theme idea, which I expanded into more of a detective theme, but could be specific to the show, or even one of the episodes. 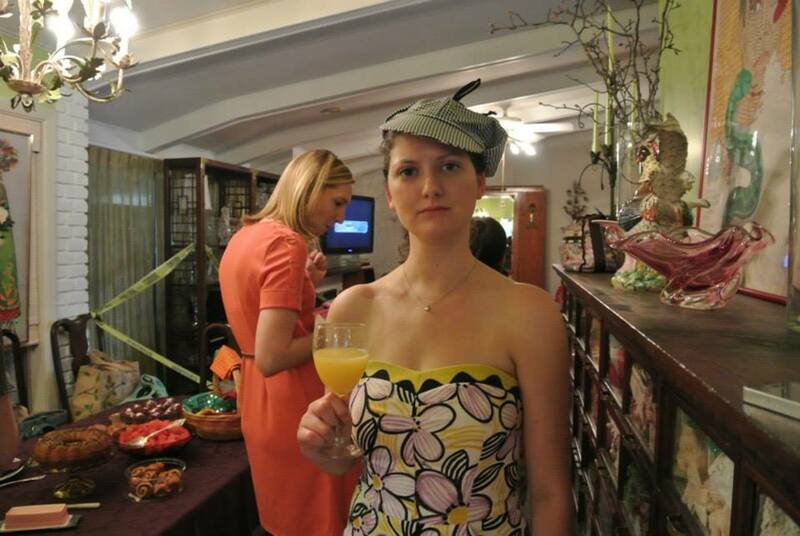 A lady of taste and class! 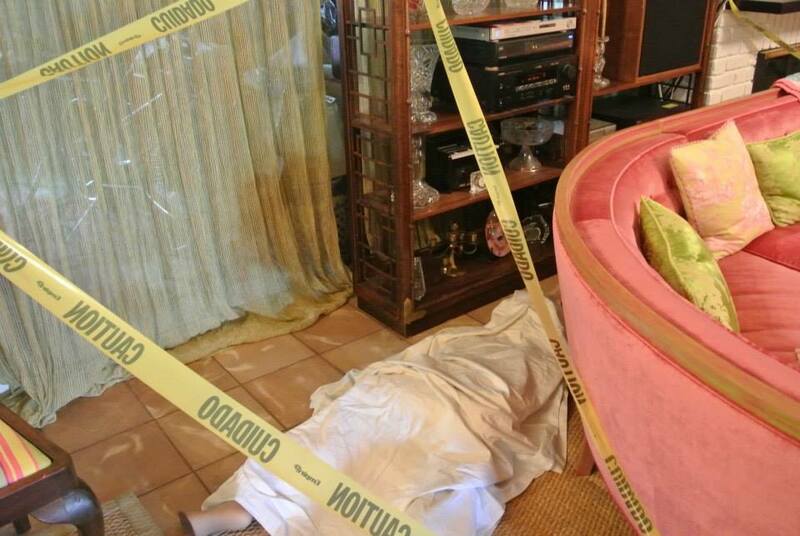 So, in terms of décor, I set up three different crime scenes, each in a different room of the house, but not in the Dining Room where we were going to eat. Not too long ago, the Downtown Houston Macy’s store closed for good (and was subsequently imploded), and being conscientious hoarders, my mother and I went to raid their display items. We came away with four pairs of hosiery-display legs (one of which I bequeathed to a friend for her birthday, at her request), and they have come in surprisingly handy already! 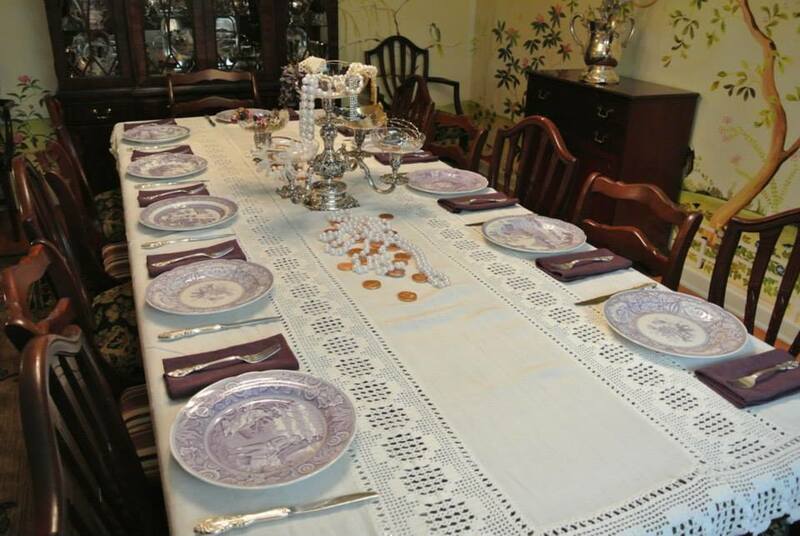 I set up the Dining Room with a center piece dripping with pearls, diamonds, various necklaces, my tiara, and fake, chocolate coins. 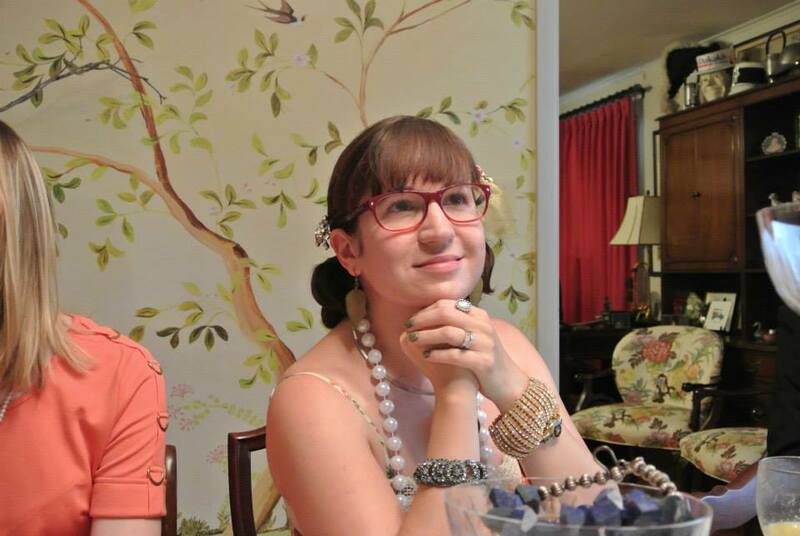 Since this was a brunch accommodating 12+ people, I was able to seat everyone at a single table, but splitting into several tables could easily work, and each table could have a different center piece/clues to the murder(s)! 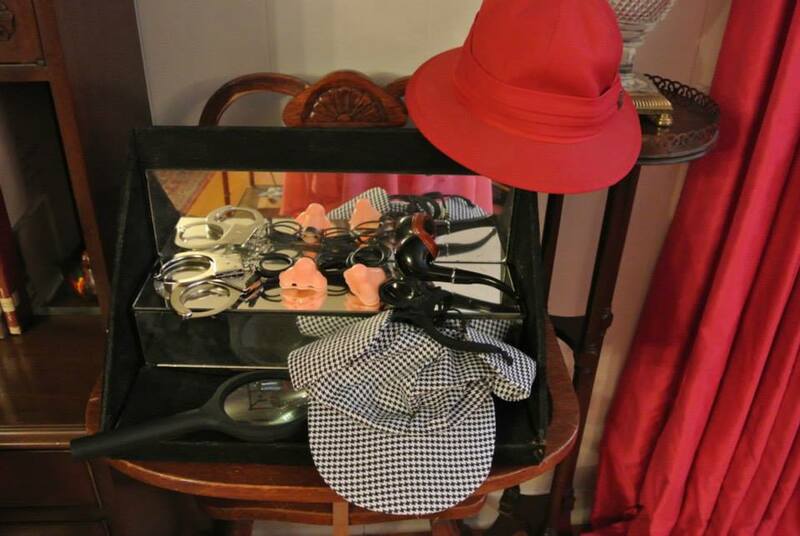 I also included a mini-costume area that included: a pipe, a Sherlock-type hat, fake cigarettes, handcuffs, a magnifying glass, eye/nose disguises and a red Watson-type hat. 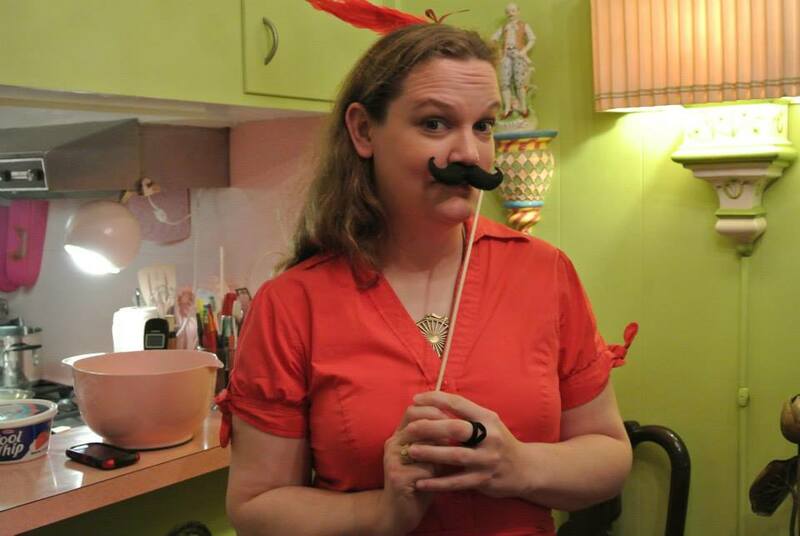 I have found that people enjoy playing with props (at least my zany friends do! 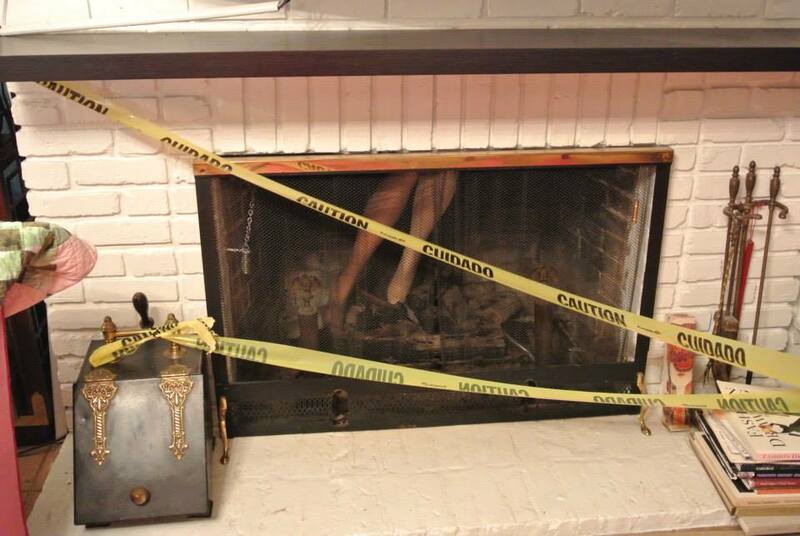 ), and if you put them out you’ll inevitably have multiple “Kodak moments” to randomly capture. Even though I hadn’t planned it, some of the ladies used the fancy center piece décor as costumes! 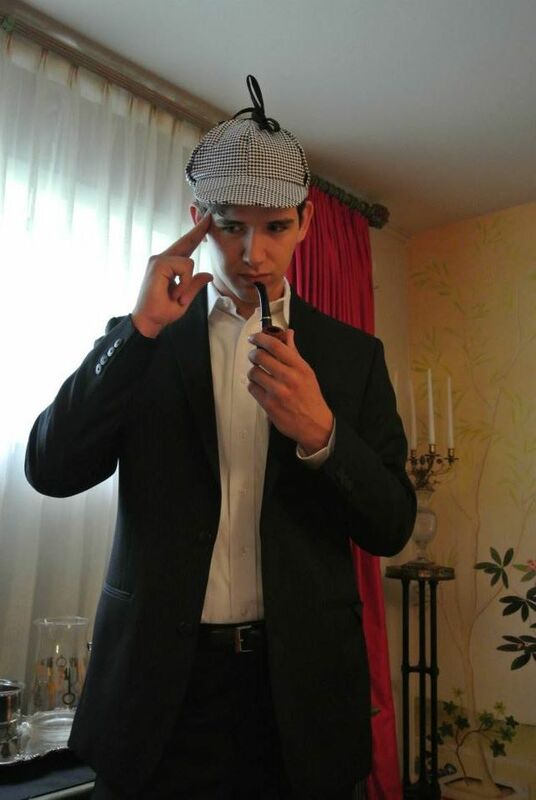 Sherlock, Watson, or a criminal in disguise! Lee means business in this Sherlock hat. 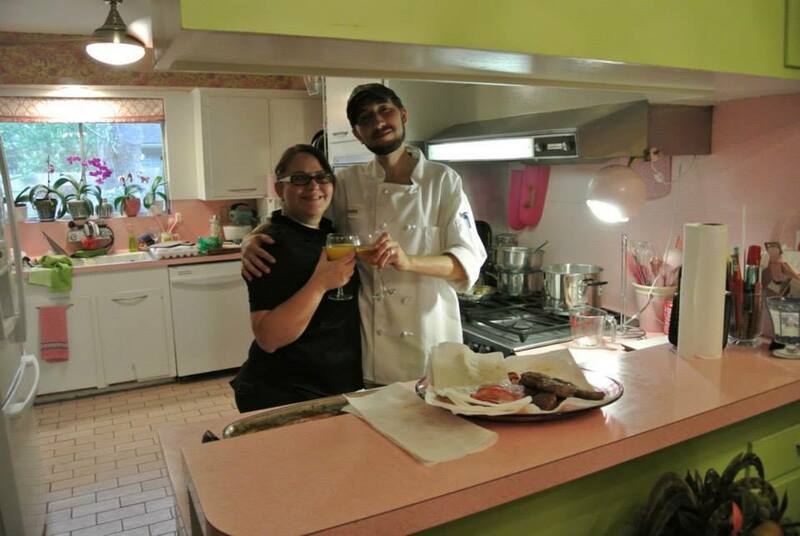 In terms of the menu, I was outrageously fortunate to have a volunteer chef! One of my friends has worked in country club kitchens, and offered to make the signature dish: Eggs Benedict Cumberbatch! They were excellent, and thank goodness someone volunteered, because I have never poached an egg in my life. By the early afternoon, he had managed to poach nearly four dozen eggs, toast my (homemade) English muffin bread on the same griddle used to make a mountain of bacon, sausage, Canadian bacon and mushrooms for the vegetarians. Everything tasted glorious, and looked incredible. Only the best team ever!!! Post-delicious food, my final caveat was to arrange for a guest appearance by Sherlock himself! 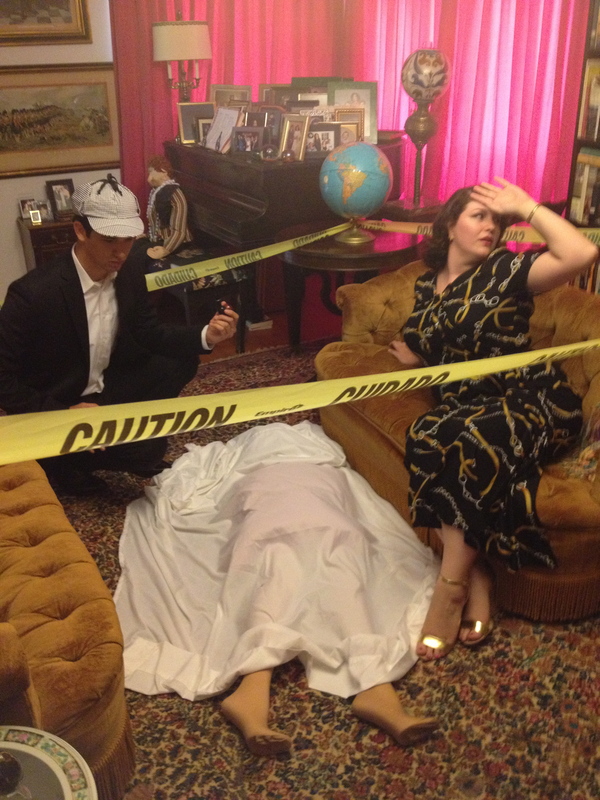 My younger brother looks like a less lippy, more American version of Benedict Cumberbatch AND has a black suit, so he donned the traditional hat and pipe and posed graciously for some fab crime scene photos to the squeeful delight of the guests. We even posed together for a very film noir shot! 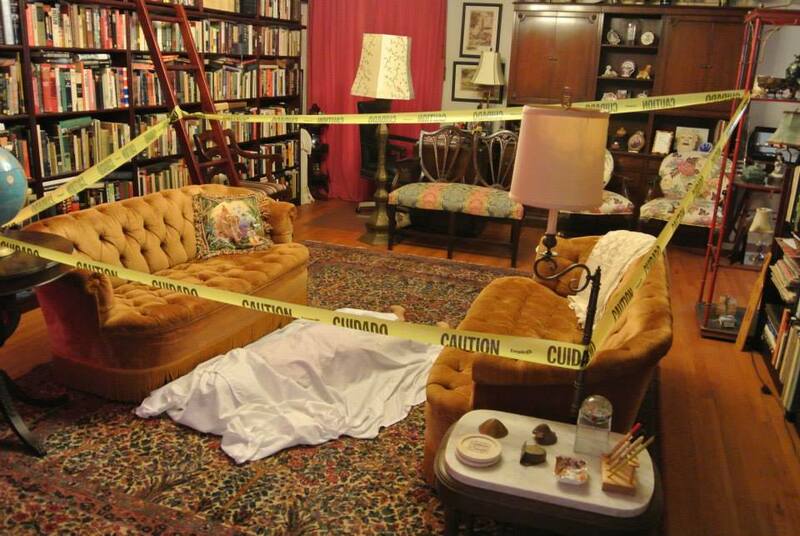 The crime scene was affecting my delicate sensibilities. This brunch was absolutely delightful, and since BBC’s “Sherlock” is readying for Season 3, I’m sure someone else will be inspired to do something similar. If so, or if you already did (good for you! ), please share some thoughts, ideas, games, or pictures! I would love to see other people’s interpretations and fun times!